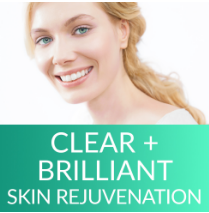 Clear + Brilliant® is an effective, proactive laser skincare treatment for helping maintain youthful-looking skin. Based on innovative fractional laser technology, Clear + Brilliant is perfect for patients who want to refresh their look, help address the signs of aging, improve their skin tone and texture and minimize pore size, all with minimal downtime. Add Clear & Brilliant to your skincare regimen to get smoother younger looking skin. A: Clear & Brilliant treatments can be repeated every 4-6 weeks. Q: Is Clear & Brilliant safe for darker skin types? A: Clear & Brilliant is a safe and effective procedure to reverse sun-damage. 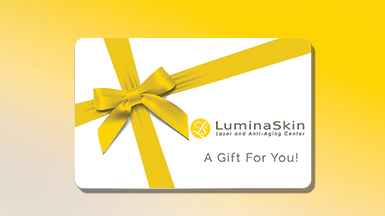 Unlike other laser treatments, it is appropriate for all skin types. Q: Is Clear & Brilliant painful? A: Clear & Brilliant is not painful. A topical numbing cream is applied one hour prior to your treatment so you are completely comfortable when we start. A: The treatment time can range from 30-60 minutes, based on how many areas being treated. 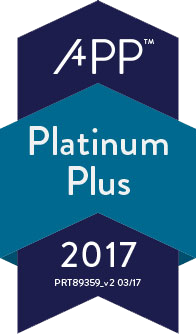 Face, neck, and chest are the most common areas being treated by Clear & Brilliant. A: Immediately after your treatment, you may experience some redness, swelling and a sunburn-like sensation. This usually lasts a couple hours after the procedure.